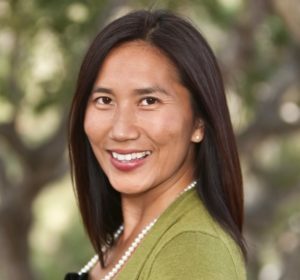 UC Santa Cruz appointed Blia Yang as the new director of undergraduate admissions on Jan. 4, replacing former director Michael McCawley, who UCSC let go in October 2017. As the director of undergraduate admissions, Yang is responsible for providing strategic planning and direction for admissions, enrollment management and staff development for the Office of Undergraduate Admissions. Yang leads efforts to recruit and enroll new freshmen and transfers. During her time as the interim director, Yang worked on achieving the UC’s 2:1 agreement, implemented in 2017. The 2:1 policy requires all UC admissions to admit one California transfer student for every two California freshmen admitted. This policy is meant to give equal enrollment opportunity to California transfer students. Prior to the implementation of the 2:1 target, a report released by the UC presented an imbalance in UCSC’s admission ratio. A response to this, the 2:1 agreement aims to rectify this imbalance by including more California-based freshman and transfer students, rather than non-residents. City on a Hill Press had the opportunity to communicate with Blia Yang through email about her new position. What inspires you to work with UCSC prospective students? “As a first generation college student, I found the process of accessing higher education to be difficult to navigate and intimidating. Part of our work in admissions is to go into communities where the college-going culture may not be as strong and provide students with clear information on how they […] can make a UC education become a reality”. Data from a 2017 UC report shows that UCSC admitted 41 percent of freshman applicants from California, while admitting 80 percent of non-residents. Does this data concern you? “We fully achieve our enrollment goals for California based on the level of state funding the campus receives and agreements made between the system and the state, such as the 2:1 agreement, which has decreased the number of frosh enrollments. […] You also have to keep in mind that we have a much higher percentage of students who accept our offer of admission from California compared to non-residents. We have to admit nearly twice as many nonresidents to enroll the same number of California students. How will your involvement with the 2:1 transfer ratio agreement influence the criteria on admitting new students?